As Britain's newest National Park, situated in Hampshire and Sussex includes some fine ancient woodlands, dramatic heathland and the white chalk cliffs at Beachy Head. Great for walking, with the South Downs Way, horse riding and cycling, and exploring lively towns and villages. 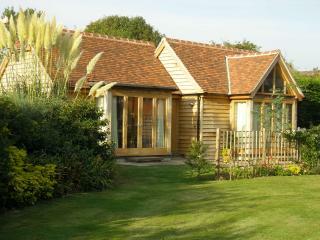 Lakeview is a beautiful cottage situated near the village of Chichester, West Sussex. Hosting one double bedroom with en-suite, and a twin room, along with a bathroom, this property can sleep up to four people. Inside you will also find an open-plan kitchen, dining and sitting area with electric fire. To the outside is off-road parking, and a decked area with furniture. 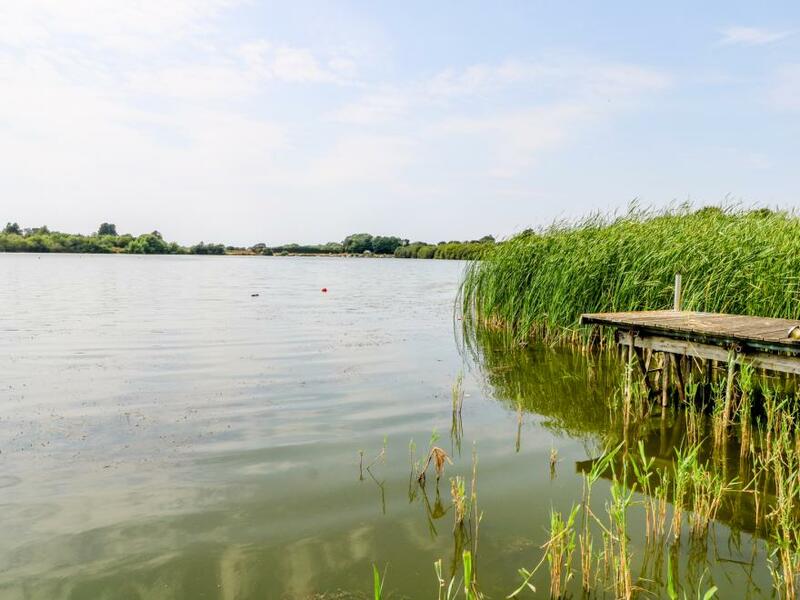 Resting in an enchanting location with so much to explore in the area and beyond, Lakeview is a heart-warming cottage in a promising part of England. Goodwood Lodge sleeps 2-3 in cosy surroundings. The kitchen is fully fitted with modern appliances, all crockery and utensils and a washer/dryer. In the lounge/dining area guests can relax on the Italian leather sofa and watch the TV or a DVD or enjoy traditional entertainment with a book or games. The bedroom has a King size bed with en-suite facilities.The lodge also offers Internet access and car parking. Free Internet and WIFI available. Well behaved children and pets are welcome. 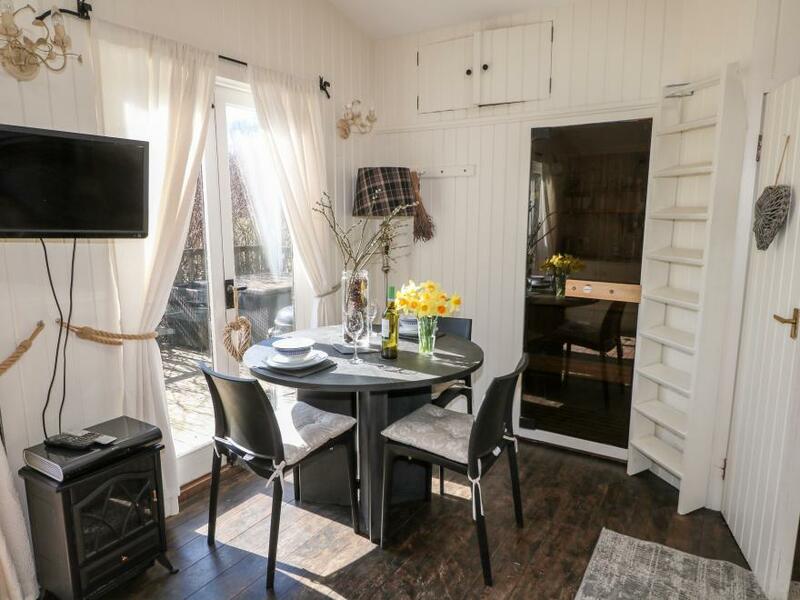 Kitchen - This holiday Lodge is fully equipped for self-catering to include combination-microwave, toaster, dishwasher, washer/dryer, fridge, iron & ironing board. White crockery, cutlery and cooking utensils. Oak units & all work tops are granite. Lounge/dining area - Italian leather corner sofa, flat screen TV/DVD with Free View. Oak dining table & chairs. Books, magazines and DVDs & games available for use. (Please request on booking what you like). Bedroom – king size bed with pull-out single bed & bedding, armchair,hair dryer, radio alarm,full length mirror & wardrobe. En-suite shower room - Auto fan, mist-free illuminating mirror and walk-in shower. Tiled floor & walls. Garden & York stone patio area , bistro table & chairs -west facing. Car parking and driveway to door with fitted sensor outside lighting. Keypad entry. The prestigious Goodwood Hotel, with its Leisure & Health and Pay & Play Golf Clubs, is a few minutes stroll from the property down a one-way country lane. (The restaurants are open to non-members or non- hotel guests & I can offer guest entrance for use of the swimming pool, tennis courts, gym & spa facilities). Goodwood Farm Shop is 5mins drive away and open 7 days a week selling a range of home produced organic products. Woodmancote Lodge is a detached lodge near Linchmere, accessed by a grass paddock, with its own sauna. The studio accommodation comprises of a double bed, with an additional double bed above it, a kitchenette, dining table and sofa. There is also a sauna and shower room and outside, a deck with furniture and off road parking for two cars. Woodmancote Lodge is a great base for couples to enjoy the countryside and explore the many interesting towns of this beautiful region.